College Football betting has its own lingo. To the untrained ear, it might sound like heavy-duty stuff, but trust us, it’s as easy as 1-2-3. Most NCAA football bettors won’t admit it, but learning the industry jargon is as painless as it gets. Remembering everything from this article will have you ready to tackle the basics in college football wagering. Learning to become good at it, well, that’s another matter. The point spread is 4. Alabama at -4 is “giving” 4 points. That number is subtracted from their total at the end. So if Alabama wins 26-21, you take 4 points off their total and are left with 22-21, good for a winning bet by a single point. Whenever a team is (-) any number of points, a winning bet can only happen if they win by an amount that is more than that number. A quick way to summarize it for your edification is that a (-) is a favorite and a (+) is an underdog. When a team is favored (-) by a certain number of points, they must win by an amount exceeding that number. Conversely, a team that is an underdog at (+) a certain number of points can either win the game outright or lose by an amount under that number and you win. The point-spread is supposed to make a wager against-the-spread a heads-or-tails proposition, with the point-spread evening it out to a large extent. There are some nuances within the point-spread that we’ll get into in other articles, but it’s not unfair to say that a bet on the point-spread is supposed to have an even chance on either side you take. But the book gets a tax, also known as “vig” or “juice” on all straight wagers you place. When betting against-the-spread, you normally have to bet $110 for every $100 you hope to win. If you choose the right book, you can secure a better price and cut your juice in half with a -105 betting line, as opposed to the industry-standard -110 rate. The Money Line: In college football straight betting, we need to contend with point-spreads, where teams need to win or can’t lose by more than a certain number. A lot of bettors prefer to actually bet on what the teams are gunning for--to simply win the game. After all, teams are not trying to help us win bets, they’re trying to win games. Money line betting focuses on which teams will win the game. Tennessee is +250. Anytime you see the (+) sign, you are looking at an underdog. The number you see next to the plus-sign is the amount you win if you were to bet $100. Auburn is -300. Anytime you see the (-) sign, you are looking at a favorite. The number you see next to the minus-sign is the amount you need to bet in order to win $100. If you bet $100 on Tennessee and they win the game, you win $250, in addition to getting your $100 bet back. To win $100 on favored Auburn, you need to wager $300. All money lines are listed according to the $100 amount just to make it easy to understand. Naturally, you can wager any amount and the odds just break down proportionally. 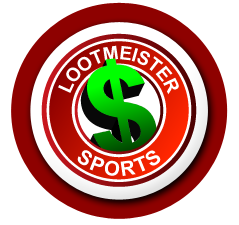 Totals: Totals betting, also known as over-under betting, focuses solely on the score of the game. The sportsbook sets a total (a number) for a game and you predict if the combined score of both teams will go “over” or “under” that number. Let’s look at a quick example. In this game, you merely predict if the combined score of both teams will go over or under 56.5. You’ll notice each side is listed as -110. Just like with point-spread bets, we don’t get back exactly what we bet and have to pay the -110 “juice,” meaning we wager $110 for every $100 we can win. Here you see a 6-team parlay. A $100 6-team parlay will pay $4000. A few points to remember: Any parlay is an automatic loser if any of the teams fail to cover the spread. You can hit 7 out of 8 teams on a parlay and that bet is a loser. And remember the $100 expression in betting is just to make things easy to fathom. You don’t have to bet $100. For example, a $20 parlay on the above example would pay $800. A $10 parlay would pay $400. College Football Teasers: Sort of like parlays--you have to pick multiple teams and they all have to win. One major difference is that you get to move the point-spread in your favor by a pre-determined amount of points. With the amount of teasers available nowadays, you can choose any amount in which to move the point-spread in your favor. But the standard teasers are of the 6, 6.5, and 7-point variety. You pick a group of games and move them all in your favor. If they all cover the adjusted spread, you get paid. Just not as much as a parlay, obviously. Let’s say you make a 3-team/6-point teaser. The teams you want to include are UCLA +11, Oklahoma -4, and Maryland +12.5. You now move each of those spreads 6 points in your favor and now it’s UCLA +17, Oklahoma +2, and Maryland +17.5. If it comes through, you get 9-5 on your money. In other words, a $50 3-team/6-point teaser would win $90. Again, that is just one example, That amount of different teasers you can make is virtually endless. Look at them like safer parlays, but ones with far less payout in the event that you win. College Football Pleasers: Whereas teasers are safer versions of parlays, the pleaser is more of a daredevil parlay. You have to be a bit of a lunatic to bet these on any kind of regular basis. You pick between 2 and 6 teams and move the spread against you by 6 to 7.5 points. It’s hard enough to just cover one spread by that many points, much less multiple games. The seemingly-grandiose payouts are what cause people to try this nutty bet. For example, a 4-team/7-point pleaser pays 63-1. A 6-team/7.5-point pleaser pays 700-1. First Half Betting and Halftime Betting: In college football betting, you don’t have to bet on the whole game. Either half can be bet, as well. There will be times when betting college football where you will have an inkling as to how a half will fare more than the whole game. Some nice spots can be found in first-half and halftime betting. When betting on the second-half, you will have to act quickly, with halftime being the only time you can bet it. College Football Prop Bets: Look at prop bets as details within a game. Prop bets focus on player achievement, things like which running back will run for the most yardage, which QB will throw for the most touchdowns, or whether a wide receiver will have a certain amount of yards. College Football Futures: In college football futures betting, we take a stab at events that lie far in advance. We can bet on which team will win the National Championship, which player will win the Heisman Trophy, or which team will win their conference. The list of futures bets is growing and you can even bet on whether individual teams will win over or under a certain number of games. If Bets: You take two straight bets and link them together, with the “if” coming into play. If you put two bets together, you can bet on the second game “if” the first one wins. In a $50 “if” bet, you bet $50 on the first game and if it wins, $50 goes on the second game. Reverse Bets: A variation of the “if” bet, where two straight bets are linked together. In the reverse bet, you are making two “if” bets, in a sense. In other words, both games will have action, regardless of the order in which they’re listed.